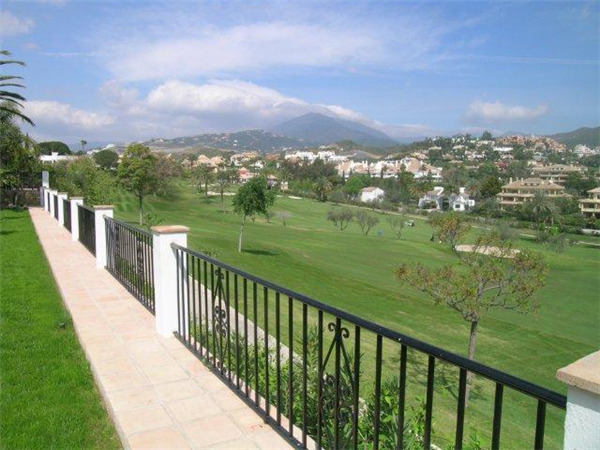 This villa is located in Nueva Andalucia overlooking Las Brisas Golf. 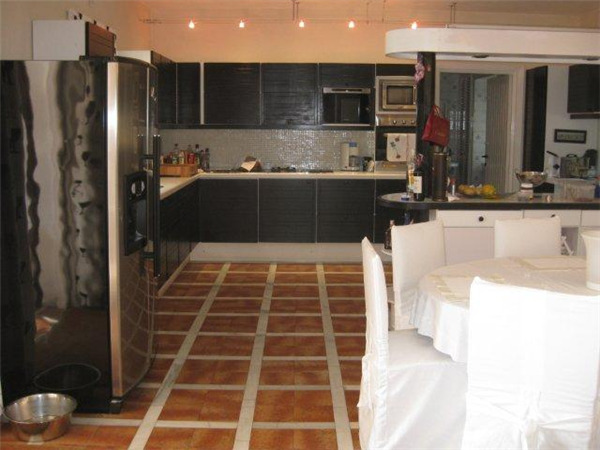 It has 5 bedrooms and 5 bathrooms and a heated swimming pool. 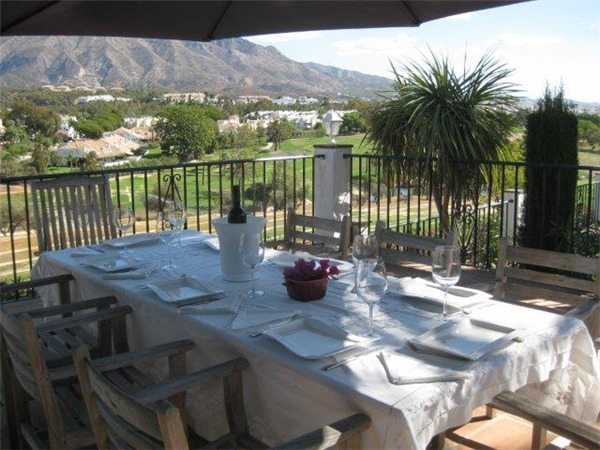 The villa has large mature gardens with a separate dining terrace at with wonderful views to La Concha mountain and the golf course. 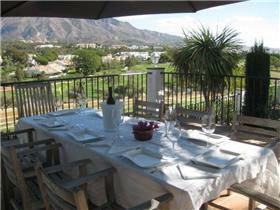 The villa is elegantly decorated with an enchanting rustic Spanish touch to it. It is fully air-conditioned and has internet connection. Maid service is 4hours per day from Monday - Friday and extra maid service can be requested and paid extra. The pool and garden is maintained 3x per week. The pool can be heated at an extra charge.